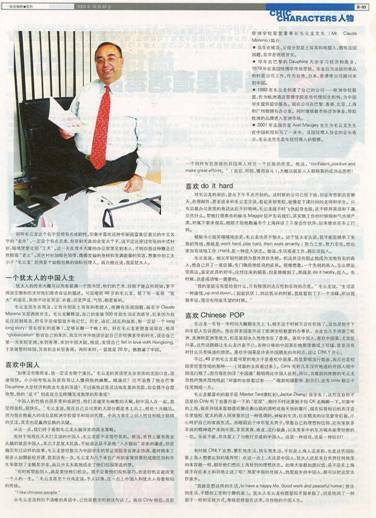 This article introduces the background of Mr. Moreno, and his experience in China as a Businessman. The journalist give the audience an overview of Mr Moreno's activities in China in the fields of Education, Business consulting and Franchise development. 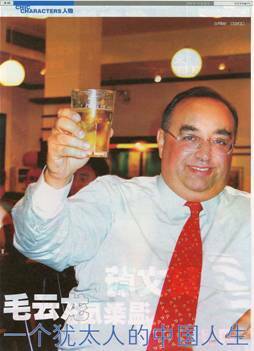 Furthermore, points such as leisure, taste for Chinese food or Chinese culture are also discussed.